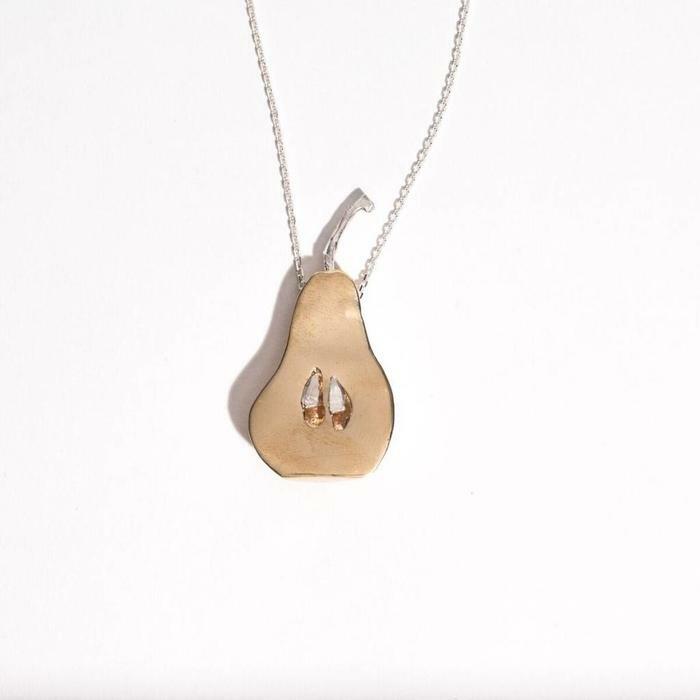 Lovely pear necklace - brass with sterling silver chain. 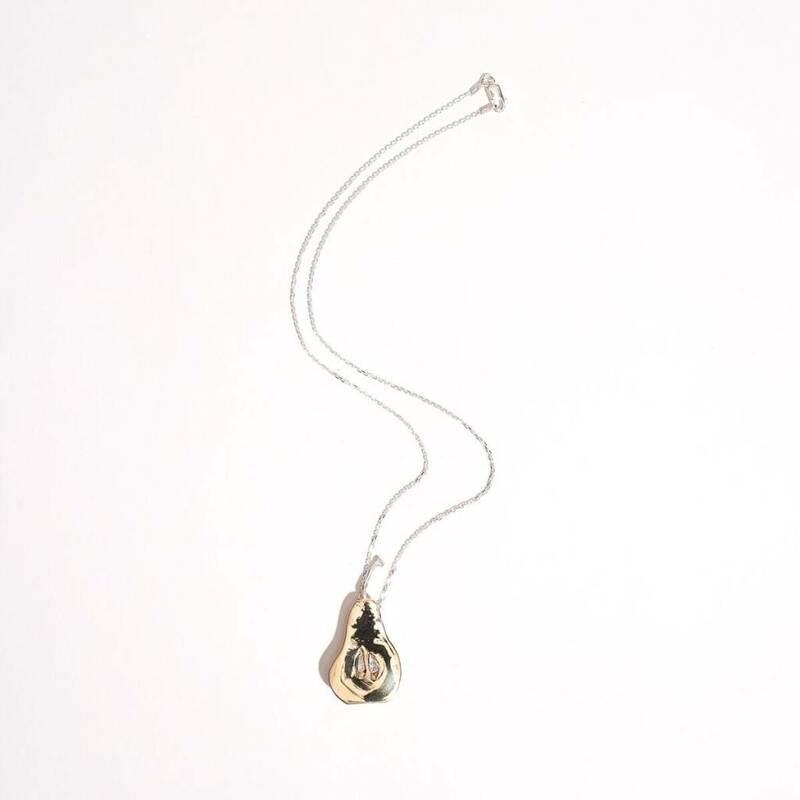 Pendant measures 1.5" in length and .5" in width and largest point. 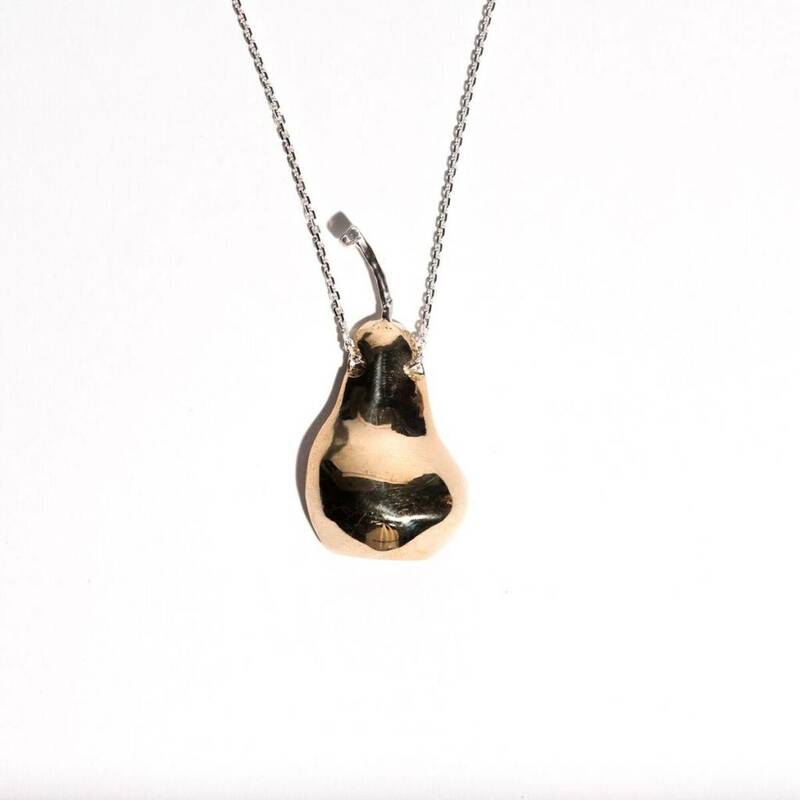 Hangs 9.5" from nape of neck.